Now the delicious nachos, tacos, and burritos of Taco Bell are available to be sent to your door via the new Taco Bell delivery service. The company has opened its doors to let the delivery boys (and girls) go away with the tacos to hungry customers. They did so back in July 2015, and ever since, their business has been nothing but a blooming success. To help customers who want to order from the famed Taco Bell fast food chain, we’ve compiled the following all-you-should-know guide about the Taco Bell Delivery service. Therefore, we’re going to talk about what cities get Taco Bell, what are the delivery fees, what are the companies that deliver from Taco Bell, what are the Taco Bell delivery times, and many other stuff about this service. Back in July 2015, Taco Bell announced its brand new delivery service. It would start effective immediately in selected places in California and in Dallas, Texas. The service subsequently promised to expand in other regions, depending on consumer preferences. At its official release, Taco Bell promised that Taco Bell delivery would be available from more than 200 of its location over the span of 90 major US cities. As of now, Taco Bell has yet to fulfill upon that promise, but as it expands, more and more customers are using the #TacoBellDelivery hashtag so as to motivate the company to bring their delivery services to the specific area of the US. 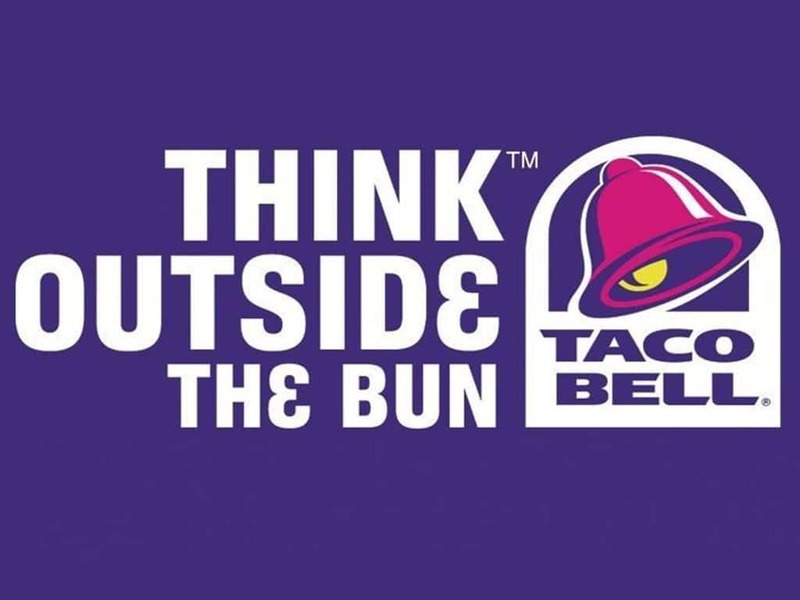 The campaign was started by Taco Bell themselves in an effort to bring the Taco Bell delivery service to those places in the United States that want it the most. 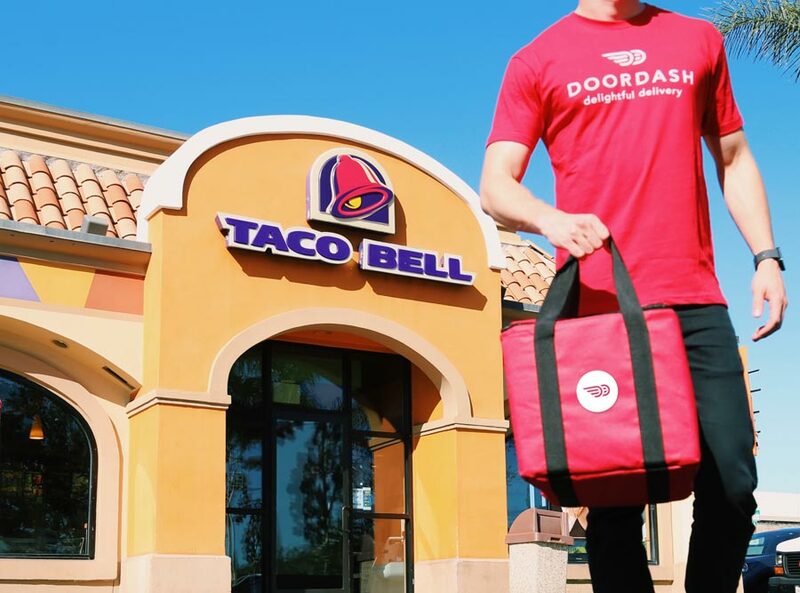 To ensure this widespread delivery of their goodies, Taco Bell have teamed up with DoorDash – that amazing food delivery service. Through DoorDash, customers of Taco Bell can get their Triple Steak Burrito directly through their iPhone app iPad app or Android app. All you, the user, have to do is download the app from the store and then get to ordering. But more about this in the next part. Give Taco Bell Delivery a call. Using the Taco Bell customer service number, users can get in touch with the company and see the availability of the service in their area. The Taco Bell delivery representatives will then redirect the user towards the appropriate service provider. Use DoorDash to order from Taco Bell. Taco Bell have partnered with DoorDash for select deliveries to areas in California and Dallas, Texas. For the exact places where they deliver, see the Taco Bell Delivery areas. Use Postmates to order from Taco Bell. Postmates have partnered with Taco Bell for deliveries in Minnesota and Illinois. Check out the Taco Bell Delivery areas for more info. Use Orderup to order from Taco Bell. Orderup have also made a partnership with Taco Bell. They provide deliveries in Iowa. Use the Android DoorDash app or the iOS DoorDash app. If you’re going to pick DoorDash for your TacoBell Delivery, remember that besides their website, they have a cool app that you can download on your iPhone, iPad, or any Android device. Use the Taco Bell app to order. Just as there is a DoorDash app through which users can order their favorite burritos, there’s also a Taco Bell app. Users can access their favorite device (iPhone, iPad, Android) and get the Live Mas Taco Bell app. Taco Bell has widespread delivery and also has plans on enlarging their delivery areas. For the time being, Taco Bell delivers to Los Angeles, CA, Orange County, CA, San Diego, CA, San Francisco Bay Area, CA, Chicago, IL, Dallas, TX, Houston, TX, Minneapolis, MN, and Iowa City, IA. If you’re searching for Taco Bell Delivery NYC or in other big cities, chances are Taco Bell are already looking for a way to expand towards your area. However, you can further motivate them by posting to their Twitter or Facebook through the hashtag #TacoBellDelivery. The Taco Bell delivery time should vary depending on your location compared to the nearest Taco Bell restaurant and on the size of your order. Bloomberg reports that their order from LA took about 38 minutes to be delivered. It’s also important to note that Taco Bell deliveries can only be made between 10 AM and 11 PM – sorry late night dwellers with cravings for Tex-Mex food. The typical fee for Taco Bell delivery is $3,99. The delivery may vary if the customer’s order exceeds the area of delivery. Extra fees may be added depending on the state regulations regarding food delivery services. Taco Bell home delivery is not only a convenient service, it’s something in which the mother company (which also owns Pizza Hut Delivery, mind you) plans to invest a whole lot of money. Through this service, Taco Bell hopes to further satisfy its customers’ demands. So, what are you waiting for? Get your Crunch Wrap Supreme now! Hey Buddy!, I found this information for you: "All You Should Know about Taco Bell Delivery". Here is the website link: https://all2door.com/taco-bell-delivery/. Thank you.